This Deadpool Pikachu Figure superheroes collection is the perfect crossover, bringing the best of both the Pokémon world and Marvel Comics. Standing around 15 cm tall, this collectible figure is the perfect piece to add to your collection. Some of them come with a stand you can easily place the figure on, so you can proudly display it. If you are a Pokémon, Deadpool or Naruto fan, you will absolutely love this! Liven up your desk with this awesome Deadpool x Pikachu mashup! This is a 3D printed miniature, handpainted with acrylic paint. 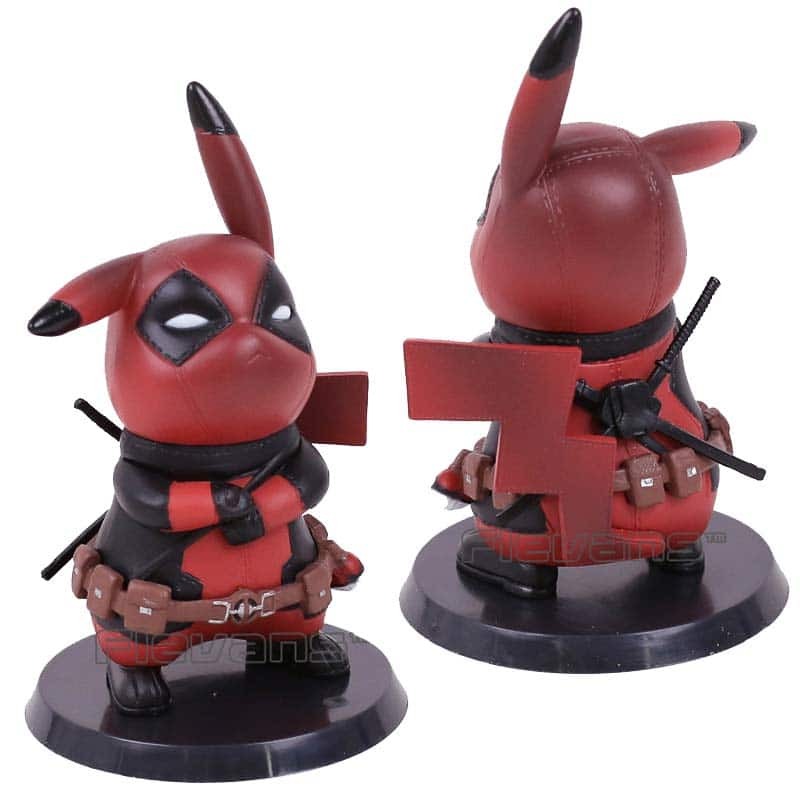 A fun gift for any Deadpool and/or Pokemon fan!